With an objective to provide best quality machinery for every need and budget, we have been successfully serving domestic clients since 2000. Through years, we have become a specialist in manufacturing and supplying packaging machinery. Semi low table top strapping machine is one of the strapping machine which delivers consistent performance in a constant production environment. The low table top strapping machines give the operate an ease to put the package on, strap it and put it back on other side. This type of machine allows strapping of many hard packages (eg. cartons) on less time a person would take. 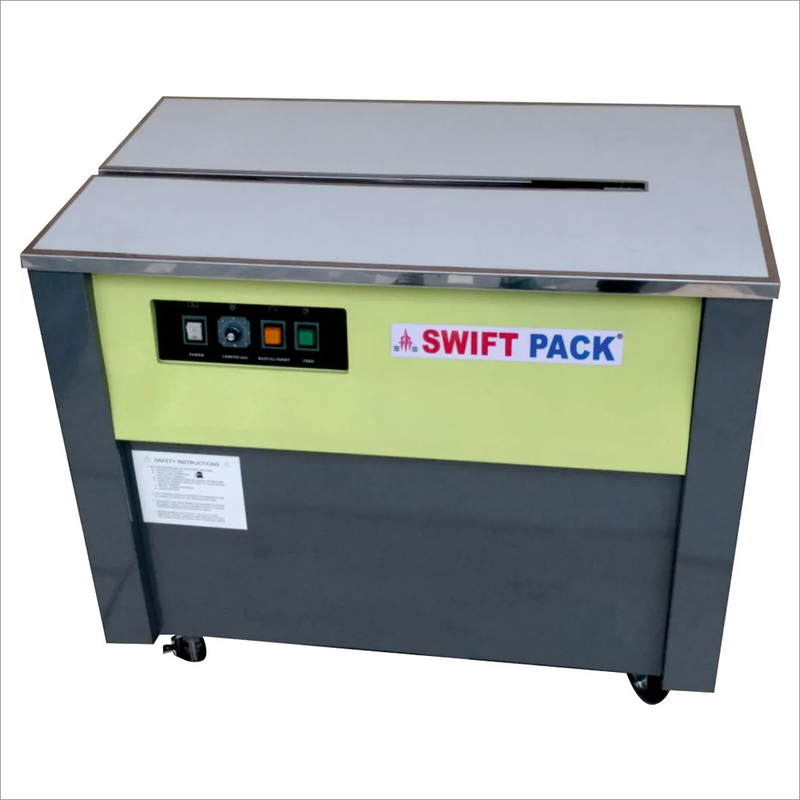 Therefore, this type of machine enables increase in packaging speed and helps in timely dispatch of consignment.